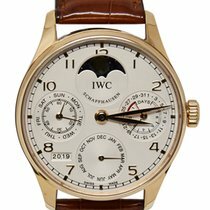 A beautiful IWC of Schaffhausen Portugieser Perpetual Calendar, model reference IW502213. This 18ct rose gold watch was supplied new by Preston & Duckworth on 29th February 2012. 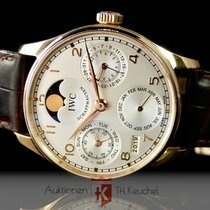 The watch is in pristine condition, and is complete with the IWC box, accessories, instruction book and warranty card. We can arrange worldwide, fully insured delivery. Call Dominic for more information.